Integrative Health (New York) - Book Appointment Online! At Integrative Health we focus on a holistic approach to care that addresses not only physical, but also psychological, social, spiritual and environmental influences on health. By spending more time with our patients, we create a personalized treatment plan that is tailored to individual’s unique needs. By combine the most cutting edge innovations of modern medicine, with integrative modalities such as yoga, meditation, acupuncture and nutrition, we help patients prevent diseases and attain optimal health. We offer access to premiere clinical services and distinguished physicians at New York Presbyterian Hospital, one the best hospital in America. 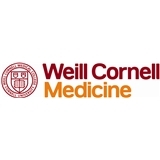 At Weill Cornell Medicine we pursue clinical excellence, engage in pioneering medical research and provide outstanding medical education. Our world renowned reputation combined with our commitment to highest standards in quality and safety, means you get the best care possible. In my 41 years I have never been to a better doctor. Dr. Gupta sat with me for ONE HOUR and asked me everything and went through everything and gave me a game plan so I can meet my health goals. She is amazing!!! So glad I found her!